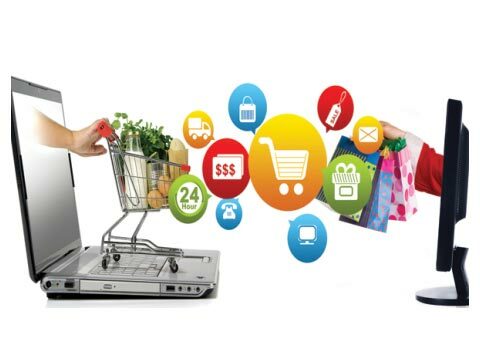 How Digital Assurance is key to E-comm Success? Digital assurance has emerged as a must-have solution to turn e-commerce brands successful in today's highly digitalised world. During the last one decade, e-commerce has emerged as a strong sales channel for all consumer-targeted brands. According to eMarketer, global consumer e-commerce sales will reach $4.479 trillion by 2021, controlling more than 16 percent of total retail sales. The picture is not different in India. As per a Morgan Stanley report, the e-commerce sales in India will touch $200 billion by 2026, growing by a whopping 1,200% annually. This will amount to nearly 12 percent of total retail sales in the country by then. This explosive growth indicates the enthusiastic adoption of e-commerce by consumers has been on the rise. Digital assurance testing that ensures smooth functioning of software platforms has gained prominence in the e-commerce space due to the business-critical nature of these platforms. Besides the core application, even the e-commerce mobile apps require digital assurance given the growth in mobile commerce (m-commerce). Underlining the importance of mobile apps in e-commerce, Research and Markets estimates that the global m-commerce market will be valued at $467.3 billion in 2019. By 2021, nearly 50 percent of all e-commerce will be m-commerce, the firm states. Glitch-free functioning and great user experience of e-commerce platforms have a strong bearing on the success of e-commerce players. When Walmart, the global retail giant, improved its e-commerce website’s performance, it discovered that a one-second reduction in load-time led to a two percent increase to its online conversion rate. Another e-commerce player, Shopzilla, slashed down its average page load time from 6 seconds to 1.2 seconds only to witness a massive, 12 percent increase in revenues. The converse is equally true. If an e-commerce platform experiences downtime or dips in user-experience, it adversely impacts the company’s financials—in addition to reputation damage. During the Christmas of 2014, a bug in Amazon UK’s price comparison module caused listing of several expensive products for ‘one penny’ only, resulting in instant sales. The e-commerce giant had to cough up nearly $100,000 to compensate for the losses of its vendor partners. Digital assurance is a vast discipline that covers four broad areas with each area serving a specific essential purpose. The four collectively ensure an obstruction-free functioning of an e-commerce platform rendering it ready to deliver speckless user experience. With some overlaps in the aspects they cover, these areas include functional assurance, performance assurance, compatibility assurance, and usability assurance. Let’s explore each of these areas briefly. Starting from wire-frame analysis and workflow validations, functional assurance covers aspects such as negative testing—to check the e-commerce platform’s (and mobile app’s) response to invalid data sets, destructive testing—to check the transaction load-bearing limits of the system (nearly with the intention of breaking it) and its response to exception handling. Rule-based testing checks whether every e-commerce feature functions according to what it is supposed to do under various circumstances. This covers functions such as login, register, search, product filters, sorting, product comparisons, shopping cart, invoicing, and acknowledgements. Integration testing is another important area in this context. An e-commerce platform is integrated with several third-party systems such as Billdesk, mobile wallets, courier dispatch, and ERP systems of product vendors. Integration tests ensure that all third party systems along with the backend enterprise systems work in harmony with the core e-commerce engine without glitches. This area covers the aspects such as network simulation—checking the response of the platform (and app) under various network conditions, and response time analysis—to ensure speedy response of the site and the app to every customer-action. As a preventive measure, performance assurance involves monitoring the platform for symptoms that may potentially lead to a crash, besides carrying out a constant regression analysis. In case of an e-commerce mobile app, performance assurance aims at optimising it for low resource usage—such as battery, memory, CPU, and mobile data. In October last year, the e-commerce platform of the Australian sneakers brand, Converse was hacked with its customers payment info being compromised. The cyber-security intelligence firm, RiskIQ warned consumers last month (November 2017) that it has identified and blacklisted 32,000 apps and 1,451 URLs that impersonate top five most popular e-commerce sites. Given such threat perception, validating an e-commerce platform’s ruggedness to withstand attack-attempts through authentication and permission checks and security vulnerability tests has emerged as an important component of compatibility assurance efforts. In case of e-commerce mobile apps, compatibility assurance also covers testing the app across operating systems (and versions), screen sizes, resolution, network speeds and browsers. Even if an e-commerce platform is technologically advanced, it’s the user experience that makes or breaks the deal. Usability assurance covers all facets including information architecture, wire-frame, click-testing to check interactivity experience, branding correctness, content, colours, typography, orientation, and gesture. Digital assurance provides an e-commerce player with the peace of mind it needs by ensuring smooth functioning and seamless user experience. These efforts to truly fructify, however, need to go hand in hand with customer-friendly marketing policies and programmes.